*Update October 11, 2016 — To date, PADF has delivered emergency food kits and water purification tablets to 5,000 people in Cavaillon, Saint Louis and Maniche. Deliveries are en route for Saint Jean du Sud and Chantal. 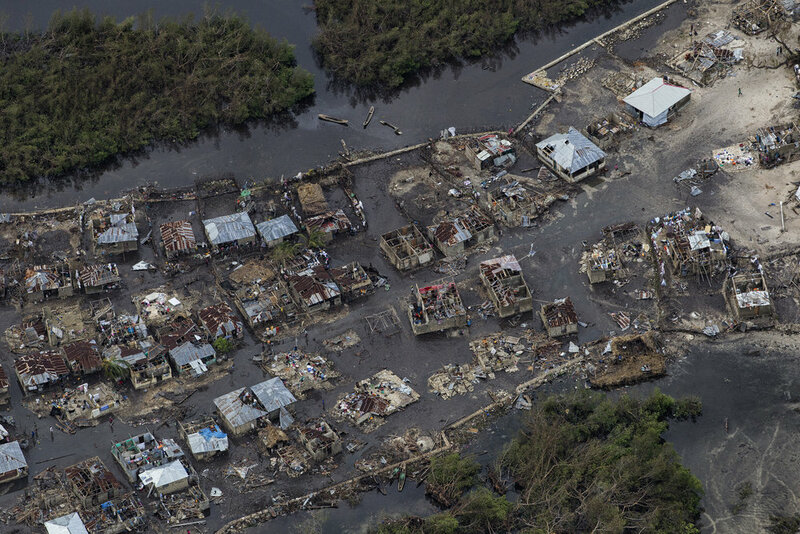 Washington, DC (October 5, 2016) — The Pan American Development Foundation is distributing emergency relief supplies to at least 50,000 people affected by Hurricane Matthew in the Caribbean, particularly in Southern Haiti. 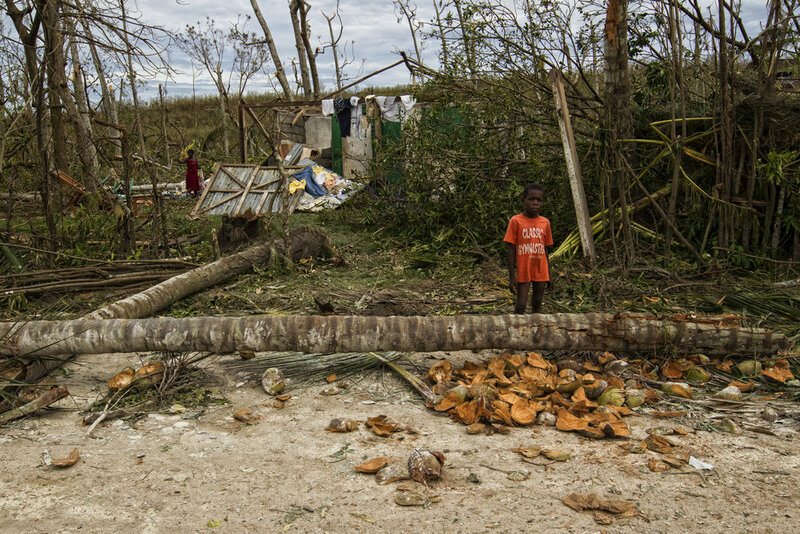 humanitarian assistance after the devastating Category 4 storm, according to the United Nations Office for the Coordination of Humanitarian Affairs (OCHA). PADF will focus immediate relief efforts in the communities of Aquin, Saint Louis du Sud, Cavaillon, Cayes, Torbeck, Camp-Perrin, Maniche and Jérémie. 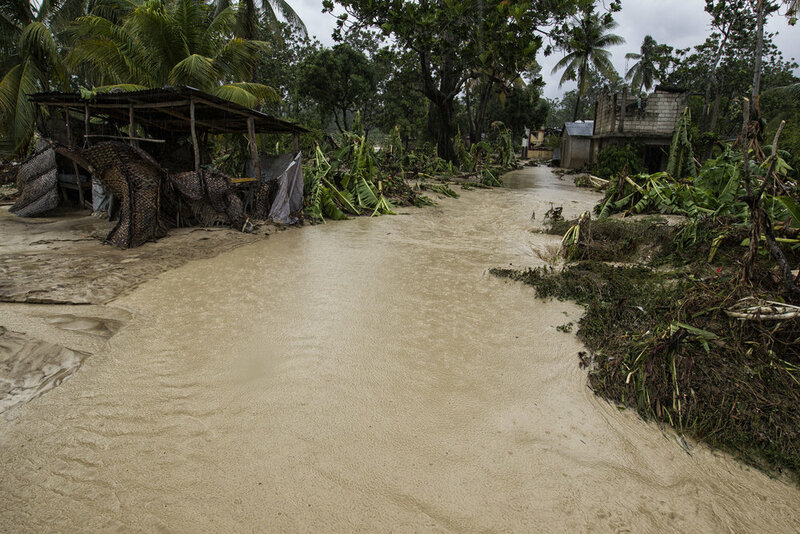 Some areas in southern Haiti and southwestern Dominican Republic received up to 40 inches of rain in less than 48 hours. Storm surges and hurricane-force winds caused extensive property damage, flash floods and thousands are living without clean water. Most of the region's crops have been destroyed. Thousands of people need emergency relief supplies and access to clean water and sanitation in order to prevent the outbreak of bacterial diseases like cholera and water-borne illnesses. Logistics support, including transportation and the clearing of roadways, will also be an urgent priority. PADF is conducting a needs assessment to inform both the emergency response for immediate priority needs and plans for medium- to long-term recovery. The provision of relief supplies to Haiti is part of a first response phase. The Foundation plans to collaborate with its local partners and an extensive regional network that includes grassroots and community-based organizations in the affected areas. PADF has been working in Haiti for more than 35 years. 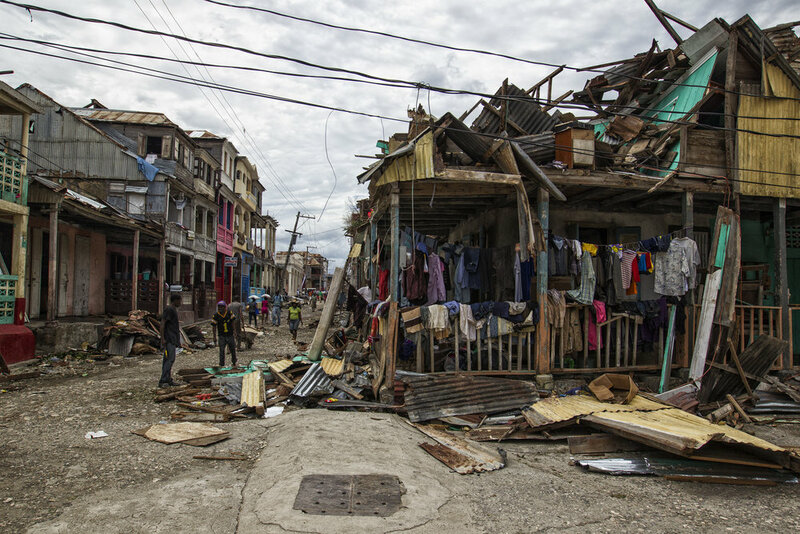 As the humanitarian arm of the Organization of American States (OAS), PADF responds to the region's major natural disasters and humanitarian crises throughout Latin America and the Caribbean. Nassau, Bahamas (July 21, 2016) — The Pan American Development Foundation (PADF) received a donation from Royal Caribbean Cruises Ltd. to support the rehabilitation of a community clinic in Crooked Island, Bahamas, that sustained severe damage in October 2015 due to Hurricane Joaquin. With funding from Royal Caribbean, PADF procured the most urgently-needed medical equipment to facilitate the reopening of the clinic, which serves the remote island’s 330 residents. The clinic will now have a new examination table, vital signs monitor, defibrillator, centrifuge, electrocardiogram machine and a wheelchair, to help resume its day-to-day operations. In January 2016, Royal Caribbean and PADF donated 15 portable household generators to hurricane-affected families in Crooked Island. "On behalf of The Bahamas government, the Ministry of Health and NEMA we are truly pleased with the partnership that has developed within the past year between PADF and NEMA in assisting with our Joaquin relief and assistance program," said Captain Steven Russell, Director of the National Emergency Management Agency (NEMA). "Both the donation of the generators which were delivered to needy persons on affected islands and now the assortment of medical equipment for the clinics in Crooked Island is indeed greatly appreciated and will continue to go a long way in bringing relief, restoration and support to the island of Crooked Island." The donation was made possible through coordination with the Bahamas National Emergency Management Agency, the Ministry of Health and the Embassy of the Commonwealth of The Bahamas in Washington, D.C. Since 2007, Royal Caribbean has donated more than $2 million to PADF to fund disaster management, community strengthening and sustainable livelihoods in the region. Oversight for Royal Caribbean’s corporate social responsibility program has been provided by PADF in 25 countries, focusing on timely response to and recovery from natural disasters and enhancing the prosperity and resilience of communities. Hurricane Joaquin, a Category 4 storm, hit The Bahamas in October 2015. Storm surges and heavy rainfall caused extensive flooding in the southern Long, Acklins, and Crooked Island, severely damaging housing, roads, medical clinics, communications systems, coastal ecosystems, and water and sanitation infrastructure. Initial estimates place the damage incurred by Hurricane Joaquin to be well over USD $60 million. Royal Caribbean International is an award-winning global cruise brand with a 46-year legacy of innovation and introducing industry “firsts” never before seen at sea. The cruise line sails 24 of the world’s most innovative cruise ships to the most popular destinations in Bermuda and the Caribbean, Europe, Canada and New England, Alaska, South America, Asia, and Australia and New Zealand. PADF operates throughout Latin America and the Caribbean to generate economic opportunities, advance social progress, strengthen civil society, and prepare for and respond to natural disasters and humanitarian crises. In 2015, the Foundation reached more than 17 million people in 22 countries. Charo Morley presents household generators to Director of NEMA Bahamas Captain Stephen Russell on behalf of PADF and Royal Caribbean. The Pan American Development Foundation received a generous donation from Royal Caribbean Cruises Ltd. to support early recovery efforts in the Bahamas following the passing of Hurricane Joaquin last fall. PADF procured 15 portable household generators for families in Crooked Island, the island most affected by Hurricane Joaquin. The generators were delivered to the National Emergency Management Agency (NEMA/Bahamas) on January 14, 2016. "Royal Caribbean has contributed significantly and visibly to the well-being of communities in Latin America and the Caribbean through its partnership with PADF," says Liza Mantilla, PADF's director of disaster management. Hurricane Joaquin, a Category 4 storm, hit The Bahamas in October 2015. 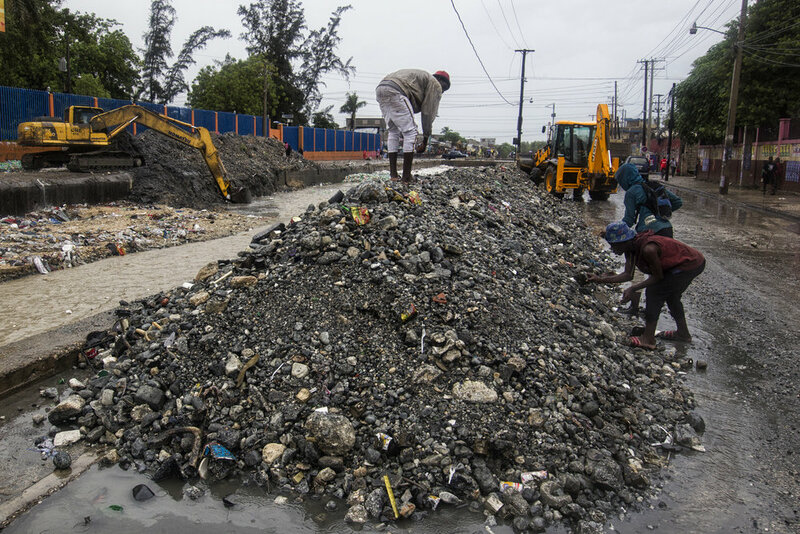 Storm surges and heavy rainfall caused extensive flooding in the southern Long, Acklins, and Crooked Island, severely damaging housing, roads, medical clinics, communications systems, coastal ecosystems, and water and sanitation infrastructure. Initial estimates place the damage incurred by Hurricane Joaquin to be well over USD $60 million. PADF has been coordinating directly with the NEMA, Ministry of Health, PAHO, and the Embassy of the Commonwealth of The Bahamas in Washington, D.C., to address the humanitarian situation, says Mantilla. These generators will allow hurricane-affected families to purchase and store food, as well as continue normal daily activities past sunset. "PADF thanks Royal Caribbean for facilitating this cooperation with The Bahamas," said Charo Morley, PADF program consultant in the Bahamas. "This alliance to provide humanitarian assistance helps the region to prepare for and respond to emergencies, and expresses the true spirit of international solidarity." With a generous donation from Royal Caribbean Cruises Ltd. and Taiwan, PADF launched disaster recovery projects in the Eastern Caribbean nations. Specifically the two companies are assisting 100 families in Puntilla Aldama, Mexico that have been affected by the recent floods. The region is in the state of Veracruz, along the Gulf of Mexico.